We provide all of the accessories needed with a wide variety of options. We have placed a few of these online for you to view. You may purchase any of the memorial jewelry online or over the phone. If you would like more information about any of the accessories, please do not hesitate to ask. You may add any of these urns to you shopping cart and submit the order to us. However, you will not be charged or asked for credit card information unless you order a jewelry selection.  If you would like to call us and discuss the cost of an urn please call us at 1-800-244-9585 and we will be happy to answer any questions you may have. Make a plan today to save the ones you love from tough decisions later..